The crucifix and nativity cribs are symbols of Italian history, tradition, and faith, so it “is right that they are displayed in the classroom”, the Education Ministry has stressed, after it emerged that some schools were blocking Christmas displays “out of respect for other cultures”. “For me, the crucifix is a symbol of our history, our culture, our traditions,” education minister Marco Bussetti said, telling a meeting of 180 teachers and school leaders from across the country he believed the same to be true for Christmas trees and nativity displays at this time of year. Speaking at the Federation of Catholic Schools’ annual congress in Rome on Thursday, the minister — an independent who has taught in schools and universities during his long career in education — said he could not understand why some headteachers and school administrators feel the display of Christian cultural markers in classrooms could be problematic. Bussetti’s address came against a backdrop of what Italian media described as “open war” over the issue of nativity scenes in the classroom, as recent weeks saw local administrators forbidding schools from creating Christmas displays in parts of the country. After outcry from parents over the blocking of crib scenes by some municipalities of Venice, authorities claimed that a lack of funding was responsible for the decision. 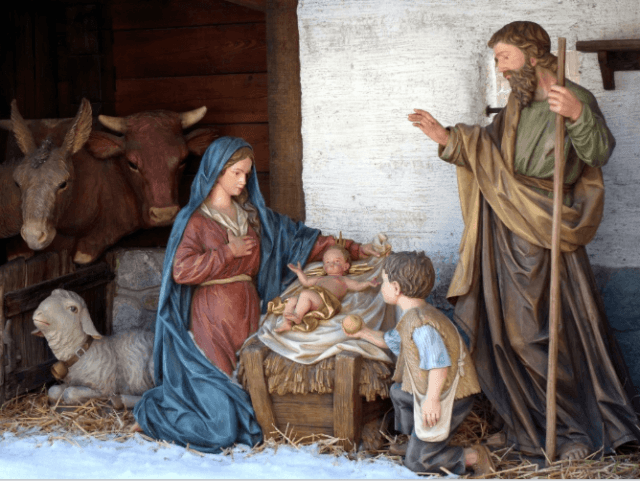 This explanation was blasted by the populist Lega party, however, which pointed out the region had allocated 50,000 euros of public funding for nativity displays at schools. Controversy recently erupted when a school in Terni canceled its traditional nativity recitation “as a sign of respect” for pupils from other cultures, according to the headteacher, whose move was blasted as “idiocy” by Interior Minister Matteo Salvini. The situation at the school in Terni was first brought to the country’s attention by local Lega representative Valeria Alessandrini, who stated: “Only by respecting [our own traditions] … can we make others understand everyone is free to practice their own faiths but that it is also required they respect the history and culture of the country in which they live.